We don’t have cable in my house. So, the television is rarely on unless we have decided to watch something specific on Hulu or Netflix. However, we still have the major network through our antenna and once and a while someone turns on the TV to broadcast television. 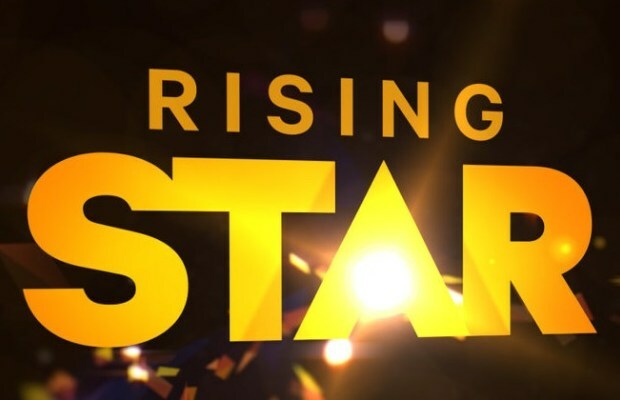 It was on last Sunday night when the premiere of ABC’s new Rising Star came on. Like many of the shows in this “discovering new talent” genre, it is kind of easy to get sucked in, so we watched. This new series has a new twist. On most of the new talent shows, the television audience gets to vote. However, with this one, the audience can vote in real time via smartphone app. This is where I really got interested. I grabbed my smartphone and installed the app from the Google Play Store. Suddenly, I had an app that was connected in real time to the show I was watching. The app invited me, at the appropriate time, to check in. Then, once the contestant starting singing, I could swipe. Blue for yes, red for no. The contestant would move on in the competition or be eliminated based on the real time voting. Similar to the other shows, there are three judges. This time, their input comes from each having 7% of the vote, allowing them to push someone over the top if they swipe yes. In some regards, the experience was a little creepy. It feelt a little bit like some sort of Roman gladiator competition with the audience deciding who would live or die. But in other ways, this is an amazing experiment in what could save live television: true, live, viewer interaction through tech. So, what, if anything, could the church learn from this? First of all, it might learn something about facing new realities. Churches and broadcast television are facing the same issue: fragmentation and loss of audience. The broadcast networks (ABC, NBC, CBS, FOX) are losing traditional viewers. It is not that people no longer want to sit in front of their flickering boxes, it is just that they have more choices than ever before. It used to be that people had a choice between three or four networks and had to watch shows at the times those networks chose to air them. Slowly that was eroded by cable networks, VCRs, pay-per-view and DVD players. Now, there is nearly unlimited access to content from around the world anytime you want to watch it on computers, smart-tvs, and other web-enabled appliances. It is similar in the church. Lets start by looking at the choices of people who are professed Christians and want to go to church. Your choice used to be between whatever denominations were represented in your town. Then maybe add the few churches that could afford to broadcast their services. Today, depending on where you live, you may have a choice of several outposts of each denomination, some with multiple worship styles and campuses, plus non-denominational churches and if you have a computer or some other web-enabled device, nearly unlimited video choices. Now let’s look at those who consider themselves Christian but aren’t convinced that going to church on Sunday morning is essential. In the past, there was a time when churches were pretty much the only show in town on Sunday morning. Your choice was, sleep in and then read the paper, or go to church. Now, anything you can do on Saturday, you can pretty much do on Sunday. Broadcast television networks have been slow to respond. Sometimes they have tried to resist. With the advent of technology like web streaming, some have tried and continue to try to discourage access to their content to push people to watch it live. Rising Star has taken a different approach. You can watch it on Hulu the next day or the next week BUT, you will miss the experience. That raises the question: Is there anything happening at our churches that people wouldn’t want to miss? Like it or not, average weekly worship attendance is trending downward. Many blame this on “people leaving the church.” However, it is a lot more complicated than that. Some people may be leaving, but others are coming less often and many are just choosing different church options. Second, we might learn something about interactivity. That is how ABC is trying to address the reality they are facing. They are betting that if they can get people involved and connected, they will stay. I have been to worship services where I have actually felt like a part of the worship service, like somehow, if I weren’t there, the service wouldn’t be exactly the same. That has happened when I was heavily involved (as a worship leader or choir member) and it has happened when I was just one of the many worshippers. But I have also been to many services when I felt like part of a disconnected audience where the show would go on even if all of us in the “audience” left. Worship services in the Protestant tradition are designed to be interactive. We have hymnals, we have responsive readings. Worship is the work of the church. It can’t happen without those worshipping. That raises the question: Does it actually feel that way? Are our services interactive? Would watching them via video later be much different than being there? Third, we might learn something about experimentation. Rising Star could turn out to be a dismal failure. The producers did a live experiment with the voting system before the show aired for the first time. However, I imagine the producers and tech people failed to breath for a couple of minutes the first time the app starting taking real-time votes during the first episode. The entire thing could have crashed basically ruining the show. Or, people could have decided they weren’t really interested in voting at all. That raises the question: Is the church willing to experiment and take risks? I am not talking about messing with the core of the Gospel. But how we worship has always changed with the times. I am sure there were some sweaty palms the first time an organ belted out the intro to a hymn. We live in a time of explosive technological change. Are we willing to look at what is before is to see if it can help us share the most important news ever communicated?